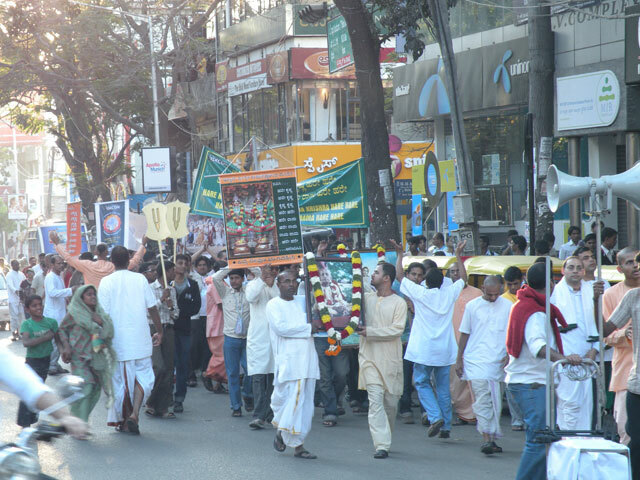 A massive Harinama Sankirtana for world peace was organized in Koramangala on Jan 26. 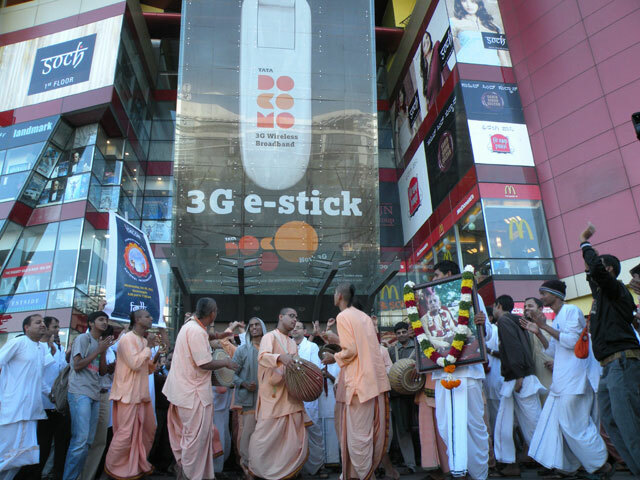 Mahaprabhu's army started off this time from the Forum Mall and went on purifying the place chanting the holy name in every corner of Koramangala's streets. More than 500 devotees joined the great chant for deliverance and resounded the Holy name. The devotees were all submerged in the bliss of chanting the Holy Name of Krishna. The Nagar Sankirtan concluded at Prasanna Ganapathy temple in Koramangala where all the devotees got to honor sumptuouand delicious Krishna prasadam.